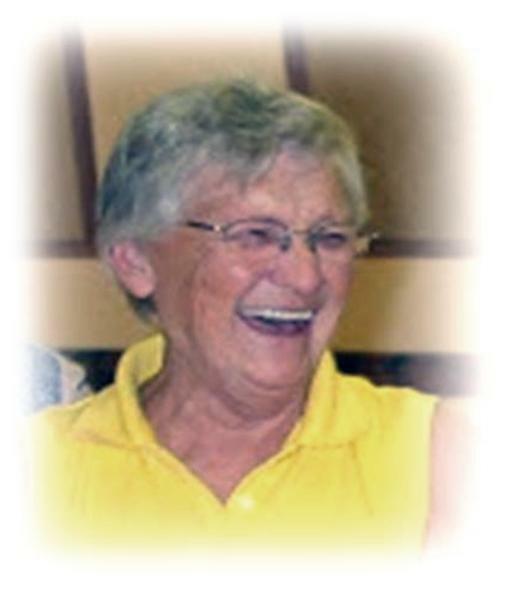 Gertrude Thérèse Friess late of Regina, formerly of Weyburn, SK passed away on December 3, 2018 at the age of 90 years. Gertrude was predeceased by her parents John and Christine; her husband's: David and Mathias Jr.; sisters: Yvonne and Mary Ann; brothers: Francis, Clement “Shorty”, Leo and Urban, her grandchild Robin; brothers in law: Harry and Leo; sister in law, Lois. Gertrude is survived by her children: Roy M., Dallas (Shelley) M., Rita (Robert) E., Adele (Jason) G. ; grandchildren: Jessie (Jess) B., Tyler, Clint (Crysta) M., Laurel, Michael E., Janice, James, Ursula, Judith G.; great-grandchildren: Paycen, Taisley B., Carissa, Cailly M.; sisters: Joan M., Agnes “Pinky” B.; brothers: Louis (Marg) W., Michael “Mickey” (Jean) W., Tom W., Gregory “Butch” W., Richard (Janet) W.; brother-in-law: Dennis Z.; sister in law, Joy W. as well as numerous nieces, nephews and cousins. Prayers will be held Friday, December 7, 2018 at 6:30 p.m. from RD Family Funeral Chapel, Weyburn. Mass of Christian Burial will be held Saturday, December 8, 2018 at 10:30 a.m. from St. Vincent de Paul Roman Catholic Church with Fr. Francis Plaparampil and Fr. Gerry Bauche, celebrants. A luncheon to follow at McKenna Hall, Weyburn. Interment will be held at Souris Valley Memorial Gardens, Estevan, SK. The Pallbearers will be: Clint M., Tyler M., Kevin W., Ryan W., Steve Z. and Brian W. Honorary Pallbearers will be all in attendance at her service.